Down the hall from CIO Gary Washington’s D.C. office is a team of government and industry professionals collaborating to transform the way USDA adopts cloud solutions, optimizes its IT infrastructure, serves customers, manages contact centers and delivers analytics capabilities. The department has already seen quick wins, including the Feb. 1 unveiling of farmers.gov, a new interactive website for producers with self-service applications, engagement opportunities and more. “At the end of the calendar year, people should be able to pay for farm loans in an automated fashion,” said Washington, who is responsible for the department’s roughly $3 billion IT budget. This is huge for USDA and, really, the government at large. Many processes are still paper-based. Washington credits this success to the vision and leadership from the top, as well as buy-in and execution at all levels of the department. The agency recently went from 22 CIOs down to eight, which he talked about more during a May 16 sit-down interview with GovLoop. 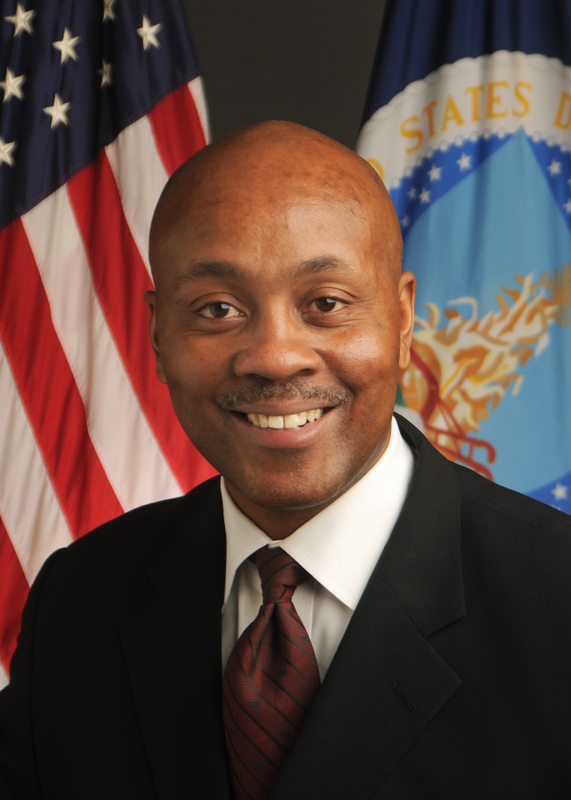 In the interview, Washington gave us insights into how key IT initiatives and laws are being implemented at USDA, how he is using his CIO authorities to partner with his colleagues and what the future state of operations at USDA will look like. GOVLOOP: How are the Federal Information Technology Acquisition Reform Act (FITARA), Technology Business Management (TBM) and IT modernization working simultaneously at your agency? What does that look like at USDA? WASHINGTON: IT Modernization is helping us meet our FITARA goals. It’s helping us fix our cybersecurity challenges and helping us with our data center optimization. It’s going to force us to have our IT workforce change. GOVLOOP: What do you mean by that? WASHINGTON: The skillsets are going to change because the environment that we’re in today is not going to be totally [the same] environment that we’re in a couple of years from now. Through TBM and other activities, our IT portfolio is going to change. In terms of FITARA and IT modernization, one is going to help the other. In terms of TBM, that’s definitely going to help us identify what we’re spending our money on and who we’re giving it to. GOVLOOP: In light of the president’s recent executive order, “Enhancing the Effectiveness of Agency Chief Information Officers,” does this EO change your role in any way? WASHINGTON: The only thing that may change my current role is the requirement to report to the agency [secretary]. Other than that, we’re doing pretty much what’s outlined in that executive order now — for the most part. GOVLOOP: Who do you currently report to? WASHINGTON: I report to the Deputy Assistant Secretary for Administration. That relationship is working well. I don’t have a problem with it, but I understand the executive order, and I understand FITARA. The Deputy Assistant Secretary for Administration and I have a great relationship, and we work well together. I have access to the deputy secretary and the secretary whenever I need it. 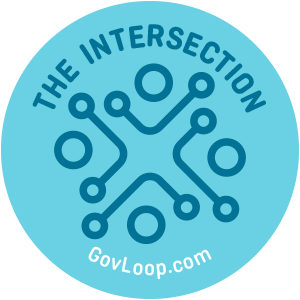 GOVLOOP: I could not talk to you without talking about the Centers of Excellence. Can you talk about some of the heavy lifting that’s taking place? WASHINGTON: We are essentially, in my view, changing the way people engage with us and changing the way USDA does business from a technology perspective. 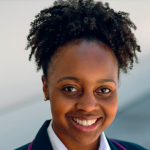 I know our IT workforce is going to have to change because the goal is to get to a more digital, automated, self-service environment, which doesn’t exist totally today. So that’s going to require upgraded or new skillsets. I think IT people and non-IT people are going to have to think differently about how we deliver services in a automated fashion. We will have to manage differently because through consolidation and through modernization, we won’t have as much of what we used to have — meaning contracts, data centers, networks and those kinds of things. Processes will have to change. Our secretary engaged the White House on IT Modernization activities. So we’re partnering with the Office of American Innovation and GSA [General Services Administration] is here supporting us. We have two phases to this. In phase one we’re doing an assessment of where we are and what we look like in the five centers of excellence [areas]. They’re going to [define] a “to be [state],” where they propose what we could look like, and a transition plan, and other information. GOVLOOP: When is that coming out? WASHINGTON: Probably September sometime. It’s part of a six-month engagement. When we get that information, we will be in a better position to prepare USDA for what we will need for our workforce. All of that information will go into solicitations for phase two, which is the implementation phase of the requirements. That’s the heavy lifting. GOVLOOP: What have you learned so far? WASHINGTON: What has stood out to me and what has impressed me is we’ve had things ongoing, but now it just seems to be this increased sense of energy around meeting our goals. While we’re doing this assessment, there’s actually work going on to reach our goals. GOVLOOP: I know that getting down to two data centers is one of those goals. Are there any others? WASHINGTON: We’re consolidating data centers. We’re teaming with GSA to do customer experience work in terms of putting us in a situation where we can provide those self-service portals. We’re doing digital service and analytics where we’re providing digital dashboards on administrative areas like HR, finance, procurement, IT, so everybody has the same information. We’re putting it on people’s desk, so that they can look at all these dashboards and get strategic information and make informed decisions. This really is a strategic partnership, and it’s working very well. GOVLOOP: How do you translate the benefits of all these IT-related changes to non-IT professionals? WASHINGTON: One of the things that we have had to work with IT folks on is not talking about IT; we’re talking about business value. What value are we delivering to the business of USDA? What value are we delivering to our customers, like that farmer, or the rancher, or the forester, or the scientist? We need talk to them more plainly and clearly about how this is actually benefitting them. We’re putting a lot of emphasis around that. GOVLOOP: You briefly talked about USDA’s “to be” state. What does that look like? WASHINGTON: In a “to be” state, we won’t have as many networks. Obviously we won’t have as many data centers. When people engage USDA, it would be in an automated fashion [with] self-service portals. They will be able to get information anytime, anywhere, anyplace, in a secure fashion. They will have state-of-the-art technology solutions enabling real business needs. GOVLOOP: You’ve mentioned USDA’s move from 22 CIOs down to eight. Can you talk about that process? WASHINGTON: Having to speak to 22 people to get buy-in is a lot. It takes a lot of conversation to get to a decision. It made sense to do it by mission area. The secretary put out his vision for how he wanted to conduct business, and we made it happen. The benefits to that is really we had better communication, better collaboration. The CIO’s have been elevated. The ones that have been chosen have been elevated. GOVLOOP: How were they chosen? WASHINGTON: Some of it was by default. Because there is only one agency in a mission area, there is one CIO. But we have three mission areas where there were more than one CIO. They did it different ways. They have the authorities, and they’ll be held accountable for what goes on in their mission areas. By Oct. 1, we will have fully moved to this business center concept where the chief executive officers in the mission areas will report to that mission area and really not the agency. GOVLOOP: Will the mission area CIOs report to you? WASHINGTON: They report to their mission areas, but they have a dotted line to me. I have input into their performance plans. Actually, we have a performance plan for them. We have input into their appraisals. And I give them their departmental priorities. GOVLOOP: Do you ultimately have a say over every IT dollar? WASHINGTON: Ultimately, I do. We have the portfolio review process, and I’m being held accountable. I’m responsible for all the IT dollars that are spent here. I take that very seriously. GOVLOOP: I’ve heard some stories where CIOs have used their FITARA authorities to cancel projects. WASHINGTON: I’ve had to do that. We stopped three projects. It’s a partnership, and you have to talk to your customers. We need to let people know what the challenges are and let them know how we could partner to fix them. You have to set levels of expectation. I try to talk as much as I can to the agencies and not at the agencies. GOVLOOP: What was the biggest challenge that you faced coming in as the new CIO? WASHINGTON: We need to improve cybersecurity, and we’re doing that. We have a really good team up here now. What’s most important to me is our relationship with the agencies and our relationship with our customers and the citizens. They look to us for leadership, and we should provide that. GOVLOOP: There seems to be a good amount of hiring going on. WASHINGTON: I’m hiring a CISO [chief information security officer] for the department. There are some cybersecurity positions that need to be filled. I do weigh in on the CIO selections. I have to approve them. Generally, anything outside of the CIOs themselves, the missionary CIO make those selections. GOVLOOP: What types of investments are you making to improve cybersecurity? WASHINGTON: We’re partnering with DHS [the Homeland Security Department] on CDM [Continuous Diagnostics and Mitigation]. We’re reducing our IG findings, our vulnerabilities. We’ve increased our systems that’ll have authorities to operate. We have put things in place to make a stronger attempt to prevent people from looking at things they shouldn’t be looking at. GOVLOOP: Is there a fun fact about yourself you’d like to share? WASHINGTON: I’m a ballroom dance. I compete. I have a competition in Las Vegas in July. GOVLOOP: How long have you been doing that? WASHINGTON: Eleven years. I do pretty well.